Analyses: the plural of analysis. Schedule Risk Analysis (SRA) is well established as a method for analysing the impact of time related risks against project schedules. SRA can also be applied to the determination of forecasts for project completion, and any required contingencies. One practical application of SRA is during in the pre-contract phase, but as will be shown further in this article, this is merely the “tip of the iceberg”. SRA should not be a one-off exercise that is undertaken early in the lifecycle of a project, then left on the shelf. 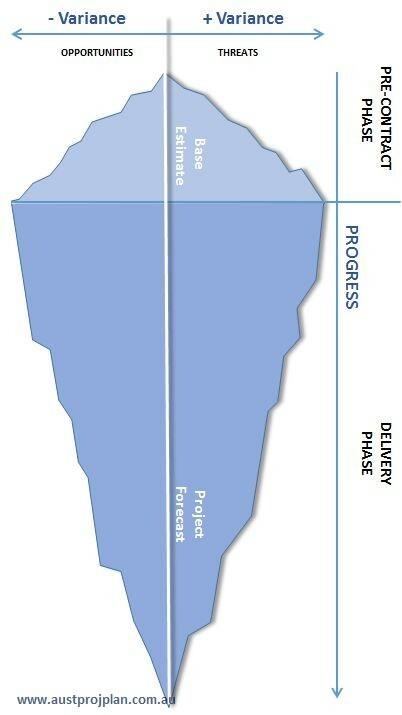 This article will outline the argument for undertaking regular periodic analyses as a project progresses, to provide improved forecasting of project outcomes. The pre-contract phase of any project is a dynamic exercise: scope, schedule, and cost rapidly evolve as the expected outcomes are defined, delivery methods are developed and the constraints within which the project must operate are realised. It also at this point that the risks are at their greatest, and any strategies to manage these risks are most cost effective. During this phase the schedule will be fluid, reflecting the dynamic nature of the project. Associated time related risks will also be identified, assessed and a management strategy will be selected. At some point of juncture, where the project team believes the schedule and risks have reached a point of stability, a SRA will be undertaken, from which the results may result in further evolution of schedule and risks. This process may be repeated until, the point where the schedule, cost estimate and scope are agreed, contingencies developed and the pre-contract phase concludes. This represents the “tip of the iceberg” point, where the project risks (threats AND opportunities) are at their greatest, once committed. But as with icebergs, the tip is only a very small element of the bigger picture. Projects do not remain static from this point – scope changes, project progress is achieved and measured by actual costs and physical completion and, cost and schedule is re-forecast periodically. Similarly, risks do not remain static either, some risks do not eventuate, some become issues that have to be dealt with, and new risks will be identified, assessed and managed. Project Schedules do not remain static either, periodic updating will adjust schedule logic, activities and their durations. Work methods, sequences and resourcing may be considerably different to when the initial commitments were made. It is appropriate that Schedule Risk Analyses be a part of the regular periodic updating process to validate the re-forecasts against the current risk profile. In fact, regular analyses overcome one limitation of SRA, that is, a project will not remain set to its initial baseline schedule, project managers will always take actions to prevent or mitigate risks occurring, or addressing the issues if they occur. By undertaking regular analyses, project forecasts can be assessed against the current risk profile (at that time), to provide levels of confidence of achieving those forecasts. As a project progresses, the level of risk reduces, and such analyses can therefore confirm the expected at completion values for schedule (and cost).